Today’s best-of-breed distributors continue to apply technology to more aspects of their businesses. They are constantly looking for more powerful solutions that deliver flexibility, responsiveness, and efficiency. With over 40 years in software development and a quarter century emphasis on print and brand management, DemandBridge offers integrated solutions for success. At the core of every successful distribution business is a finely tuned logistical operation that sets the business apart from competitors and direct manufacturers. DB Distributor gives you the ability to orchestrate every step of the fulfillment process. All this results in tangible benefits including elimination of redundant data entry, improved workflow efficiency, and reduced costs. Our integrated approach involves one order process for inventoried or customized items, whether manually entered or created from your integrated customer portals. DB Distributor automatically routes releases to the appropriate warehouse based on availability while custom orders are routed to your preferred supplier based on the product. Efficiencies in workflow don’t stop with order processing. As supplier invoices come in and costs are recorded, they are automatically entered into accounts payable and the billing function is completed. DB Distributor provides a seamless experience! Real-time perpetual inventory with lot and serial control is at the core of DB Distributor Inventory Management which tracks and properly accounts for distributor owned, customer owned, and even vendor owned inventory. The DB Distributor WMS module provides the ability to perform all warehousing functions (receiving, put away, picking, counting, and bin transfer) using bar codes and hand-held or truck mounted devices. Scanning barcoded data vastly improves data entry speed and accuracy. For shipping, DB Distributor integrates with UPS, FedEx, and many other third party shipping applications. Staying on top of your customers’ usage trends is not just good customer service, but good business. The fully integrated nature of the entire order and inventory management system provides for up-to-the-minute precise data for generating usage and cost center reporting. Get ahead of your customers’ needs with customized branded reorder notices. 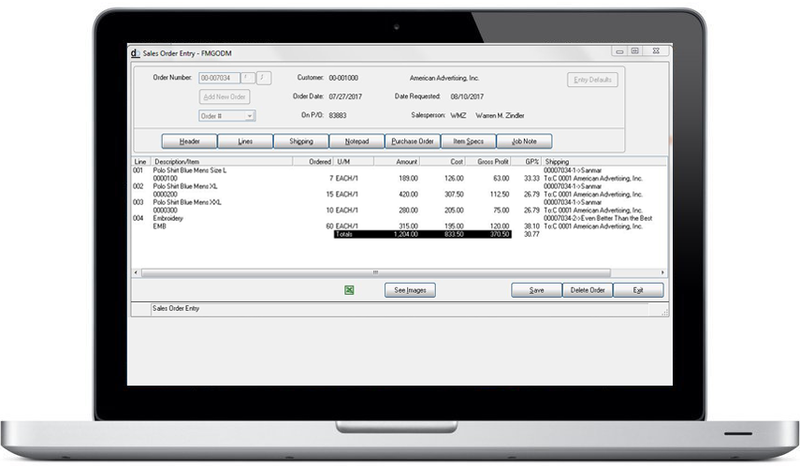 Streamline their accounting with summary billing tailored to their preferences. 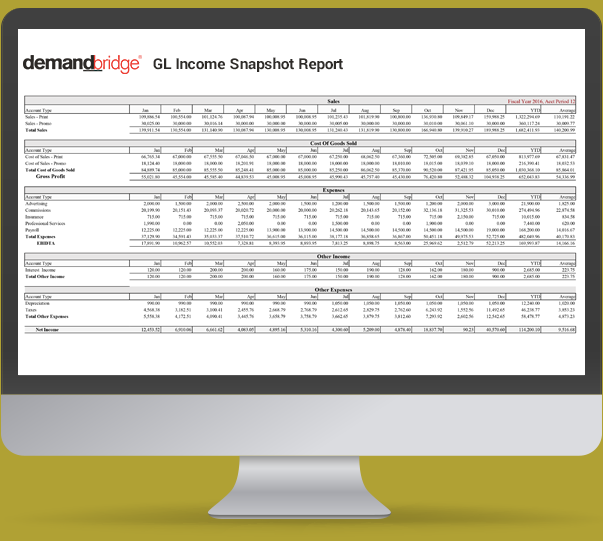 The DemandBridge Reports Suite provides easy access to all this data so you can deliver these customized reports either on-demand or automatic scheduled delivery. This document management storage and retrieval system truly delivers on the promise of a paperless office. All internally generated documents, as well as scanned or imported external documents are automatically stored and indexed to the related transactions for easy retrieval. Click the “See Images” button to instantly gain access to the documents associated with that particular transaction. Interoperability with UPS, FedEx, and many other third-party shipping applications not only saves time for your warehouse personnel but also automates the closing and billing of warehouse releases. Tracking and shipping information updates to the order record and therefore to your integrated customer portals. Customer specific freight handling rules provide for accurate calculation, billing, and costing of freight mark-ups or pass through charges. Ordering and tracking of kits and kit components is easy with the Kit Management features. 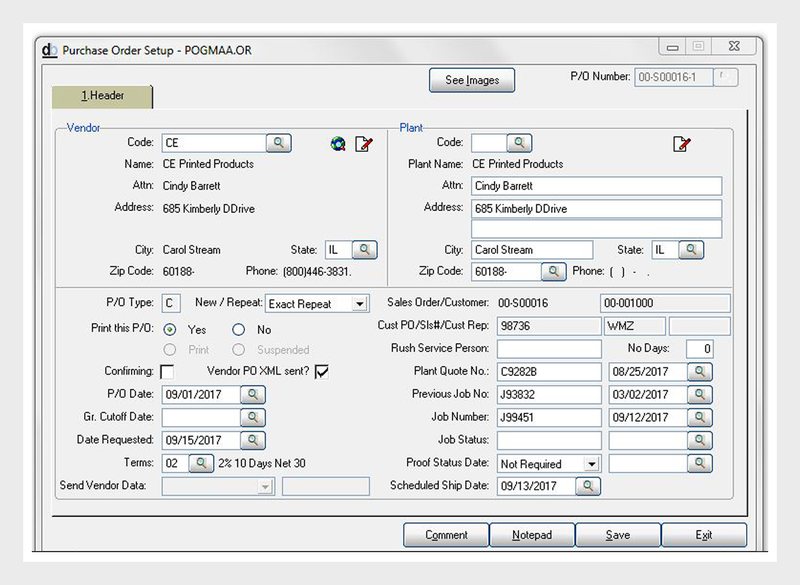 If a kit component is out of stock, or a print-on-demand item, kit production is suspended and a purchase order is automatically created. Operators are notified when their component is available and production can resume. This Kit Management system saves time and increases accuracy in your inventory reporting and in kit fulfillment costs. True GAAP accounting: Work-in-progress, perpetual inventory, job costing, and commission accounting are a few of the features at the core of DB Distributor accounting. Multi-company: Running more than one business entity? No problem. DB Distributor supports multi-company as well as multiple divisions or profit centers. Real-time transaction updates: Don’t wait until month-end to get a snap shot of your pro t and loss. Financial data updates real=time for anytime financial reporting, including multi-year comparisons and budget/variance analysis. Sales tax reporting: DB Distributor integrates with various sales tax update services to keep up with multiple state and local tax jurisdictions. Are you interested in more information and a demo of DB Distributor?